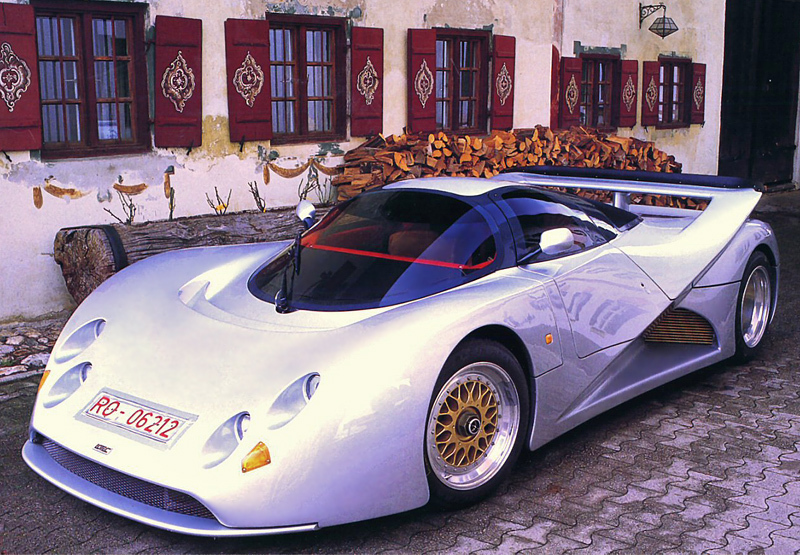 You may have never heard of the Lotec C1000 before, because although other super cars may get a small production run, the C1000 was a one-of-a-kind. Power in this mid-90's beast came from a 5.6-liter Mercedes V8 that was force-fed by twin turbochargers, resulting in about 1000 HP and 723 lb-ft of torque. Thanks to carbon fiber and aerospace whatnot, the whole car only weighs about 2380 lbs. Wrap everything together and tie it up with the 5-speed manual transmission, and you could get from 0-60 in 3.2-seconds and 0-125 in 8.1 seconds. Those specs are amazing for a car made in 1995, but they better be, because the C1000 was commissioned by a UAE business baron of black gold who shilled out about $3.4M to get himself the fastest car in the world. How fast? 268 MPH. If that's true, the Lotec is faster than even the mighty Bugatti Veyron. So what is a beast like this doing in North Carolina? A couple of years ago, the C1000 was auctioned off at one of the Barrett-Jackson auction for $243,000. Only a few months later, the car was found on eBay with an asking price of $350,000 from a dealership in Georgia. Since then it's been off the radar. We're not exactly sure why it's shown up at this tiny dealership in the town of Concorde, North Carolina. What's even more disheartening is the car seems to be in several pieces now. We'd like to imagine that it was broken when someone tried jumping it over a river or something, but that's just us.